There’s been dozens of probes that have gone out exploring the solar system since 1959's Luna 2 probe. 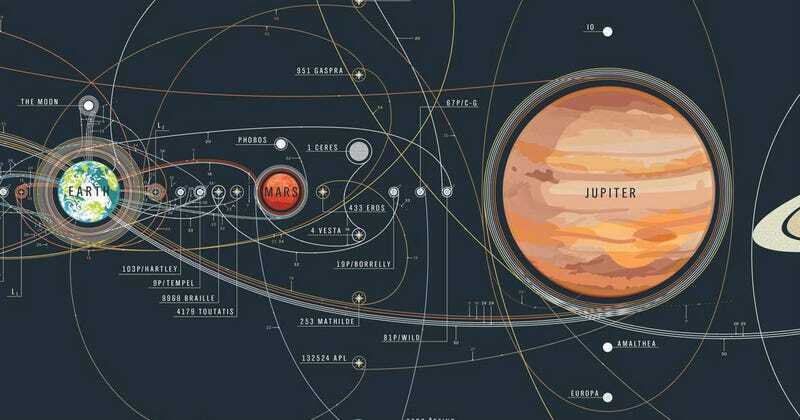 PopChartLab has gone and noted down each one since in this beautiful poster of the Solar System. The top half shows where the general path of every probe out there, with each line numbered. The bottom half shows what each probe looks like, and is sorted by whatever planet it was assigned to explore. The poster will be available on March 22nd - you can preorder it here. Contact the author at andrew.liptak@io9.com.